Options. We all love them. Sometimes we love them too much and that puts us into a financial bind because we can't just choose one of something when every option is equally as appealing. 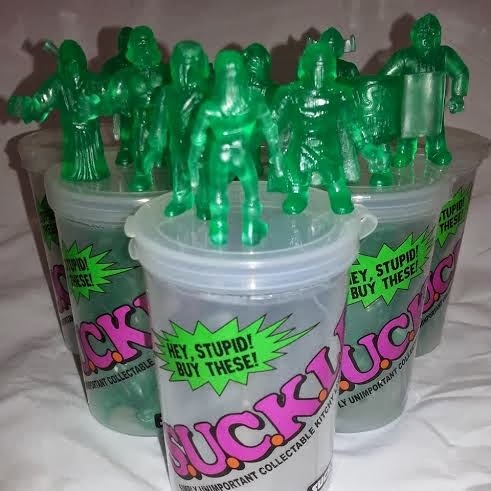 Luckily for you, these S.U.C.K.L.E. sets are inexpensive so you won't have too much guilt after you buy them all. Toy Art Gallery has the clear red ones and Suburban Vinyl has the clear green. For $20 a can you can't go wrong!! 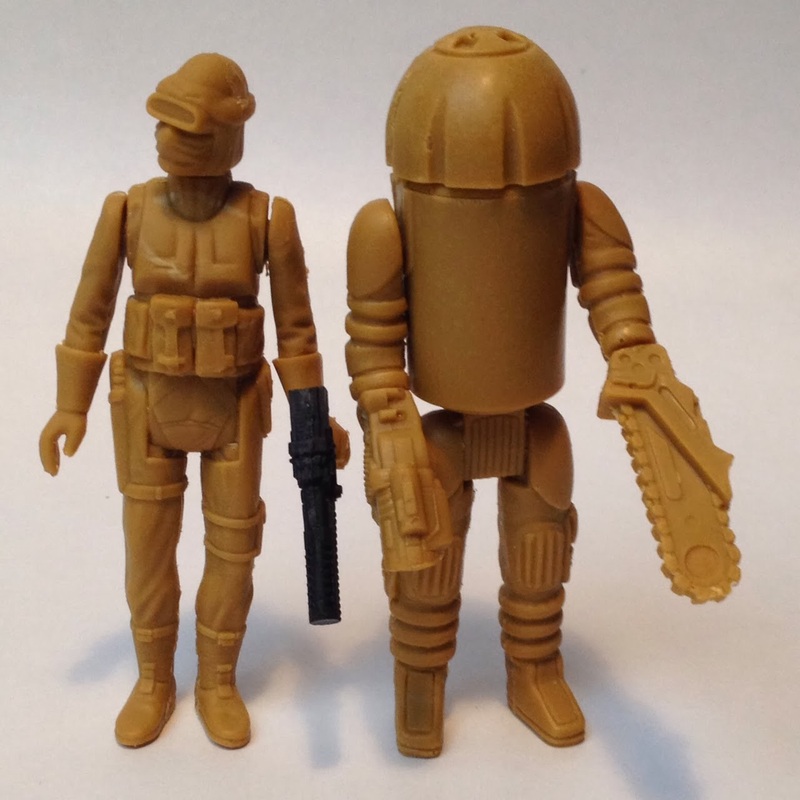 I know I haven't really been keeping up with my "Custom Toy of the Week" posts, but its because there is just soooooooooooooooo much out there I can't really keep up. Sure, I could post just quick snippets about everything I see, but that is too impersonal for me and insulting to someone's hard work. So I wait patiently like a hungry cobra, and strike out from the weeds when I see something particularly tasty. 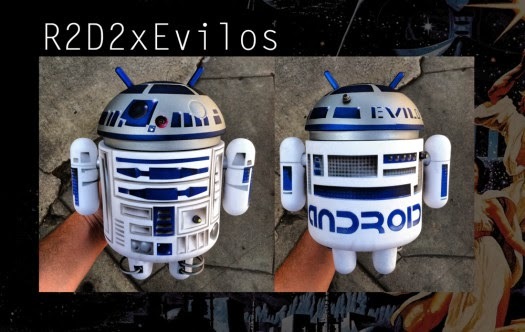 Dinner is served with this custom Android from Evilos. Just look at this thing. 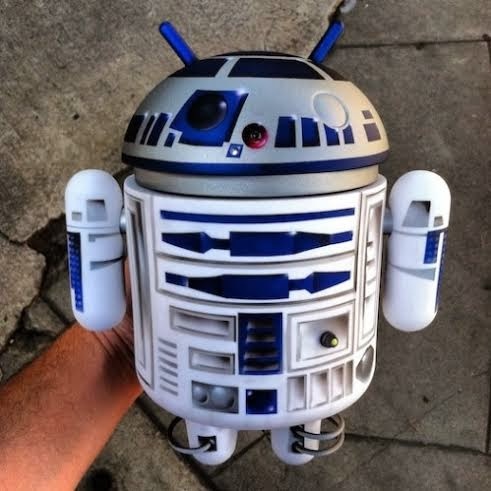 He took one of those giant new figures and turned him into everyone's favorite droid. And this doesn't just sport an amazing paint job, as R2 also lights up and makes sound that you control with an included remote. And it's the first ever Mega Android figure to be customized. And you could own this thing right now. It is listed on eBay as we speak and as of this post has 9 days left before the auction ends. Currently the bid is up to $530, but you have a fat tax return coming your way and this is the ultimate, one of a kind, Star Wars collectible. To place your bid click here. 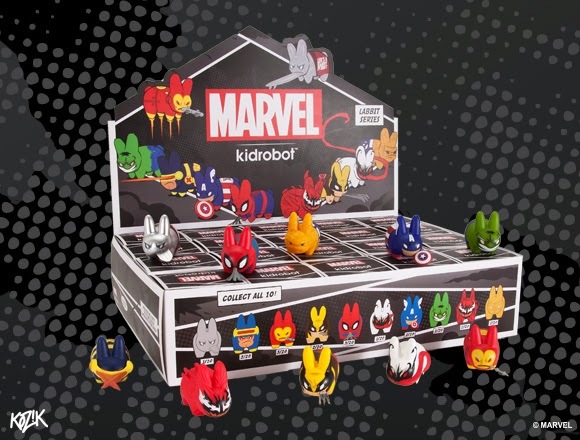 New Marvel Labbits from Kidrobot Out Now! 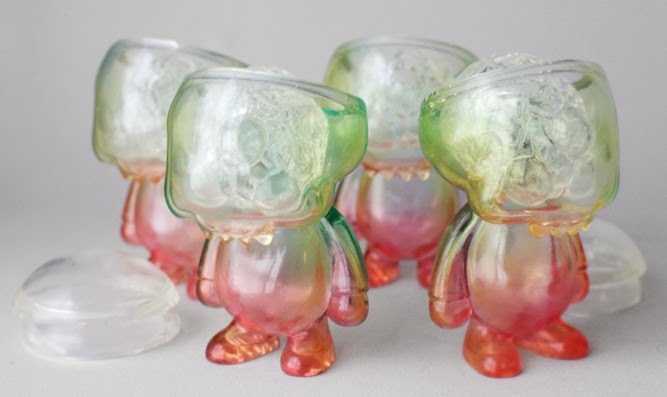 I have the uber official Kidrobot catalog on my desk as I type this and it says that these dudes weren't due to release until the second week of March. But then Kidrobot was like "psyche, we do what we want" and released them early so you can get them all right this second! 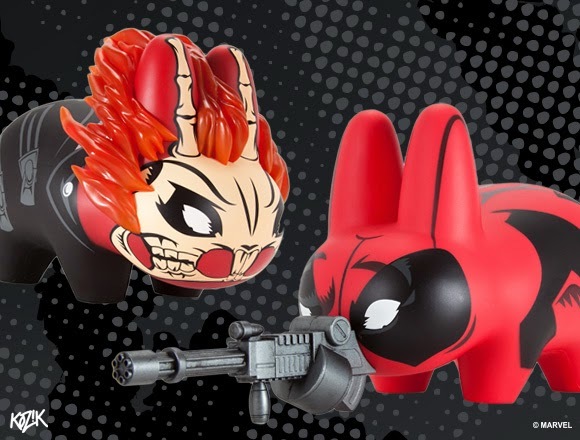 You got the second series of blind boxed Marvel Labbits as pictured above, and the newest 7 inch Labbits in Ghost Rider and Deadpool. Don't worry yourself with silly dilemmas like which one is your favorite because you know you love them all equally and want to give them a good home. Buy now, pay credit card bills when they go to collections. You know what you need in your life? Ok, keep it PG ya weirdos. 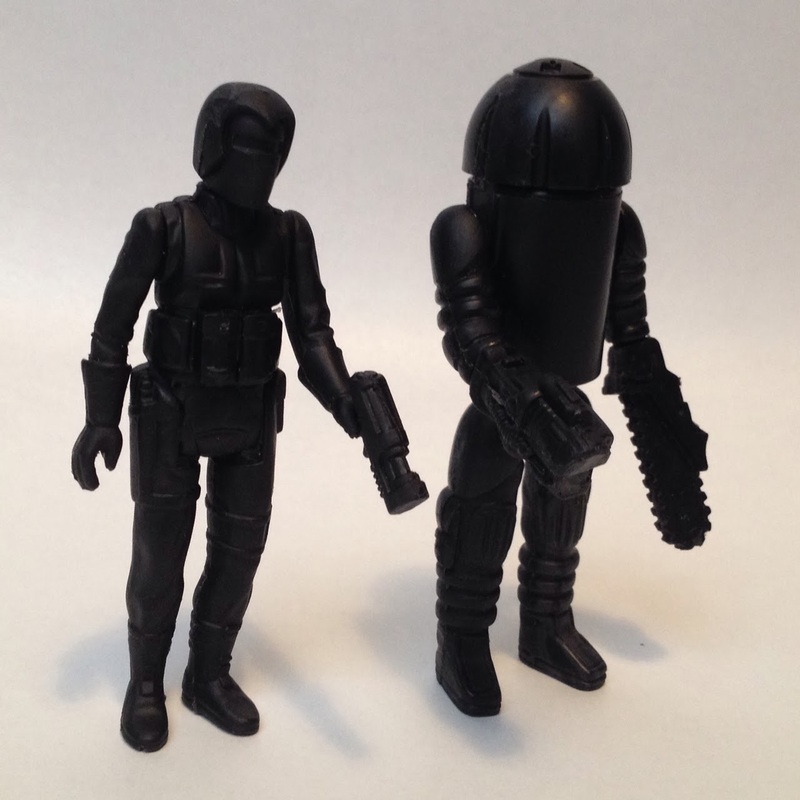 You need some sweet bootleg action figures. You know where to get them? Tonight from The Mark Ultra!!! See how easy I make it for you to part with your money? I'm like the little devil on your shoulder telling you to do bad things, like push your sister's boyfriend into traffic. But buying toys carries a way shorter prison sentence and you'll feel a tad less guilty. You can get all the dudes you see here at 8pm Eastern time from http://Themarkultra.com/ for only $20 each, which is cheaper than taking a date to Applebees. You know that girl always orders an appetizer when you're trying to eat on a budget. If you're a fan of Game of Thrones (which why wouldn't you be) then this year is gonna be an expensive one for you because their merchandise packed this year's Toy Fair. Most of the stuff consisted of action figures, which of course I like, but it is nice to see some different stuff available too. Not everyone is as lucky as I am to have a spouse who is not only supportive of my addictions (all healthy mind you) but is an active participant. Which is why it was refreshing to see what Dark Horse had on display, as it allows you to scratch that collecting itch without having to hide your toys in the basement. They do have a line of figures out as well, but items such as this snow globe and the map with the markers of the different factions allow you to fill your house with your obsession without having to be lectured about acting like a kid. Not that that's ever bothered me, but sometimes you do have to class the joint up a bit, and this is the perfect way to do it while still waiving your fan flag. 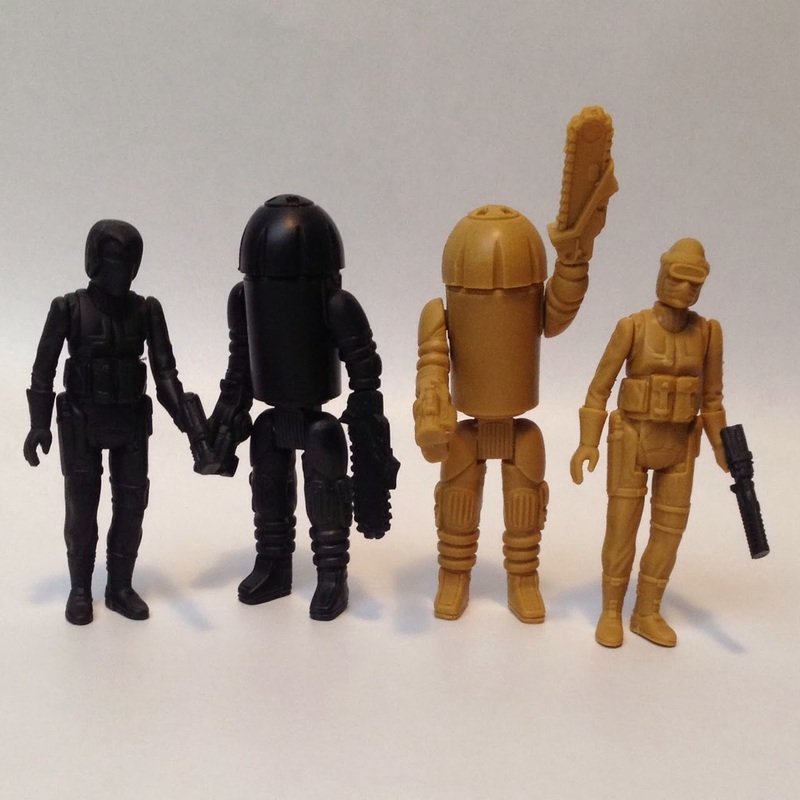 Look for these and more coming out in March. Holy crap. Like for real, holy crap. How else do you describe something that looks this amazing? This dude looks like he stepped off of a Hollywood movie set. 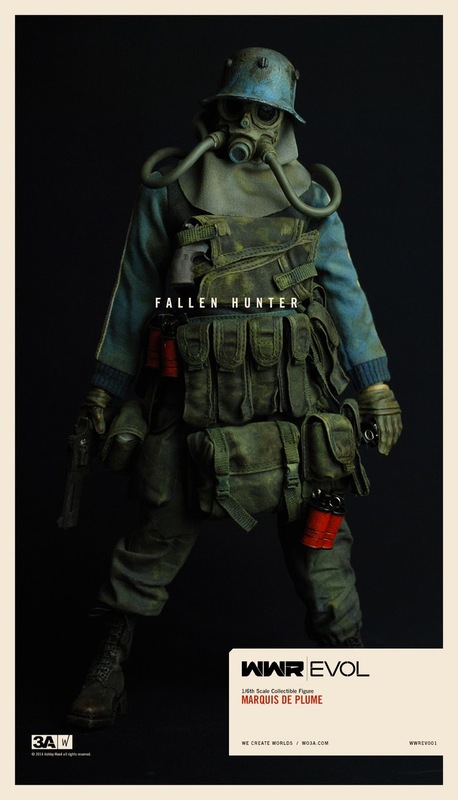 He looks like a post apocalyptic Boba Fett. 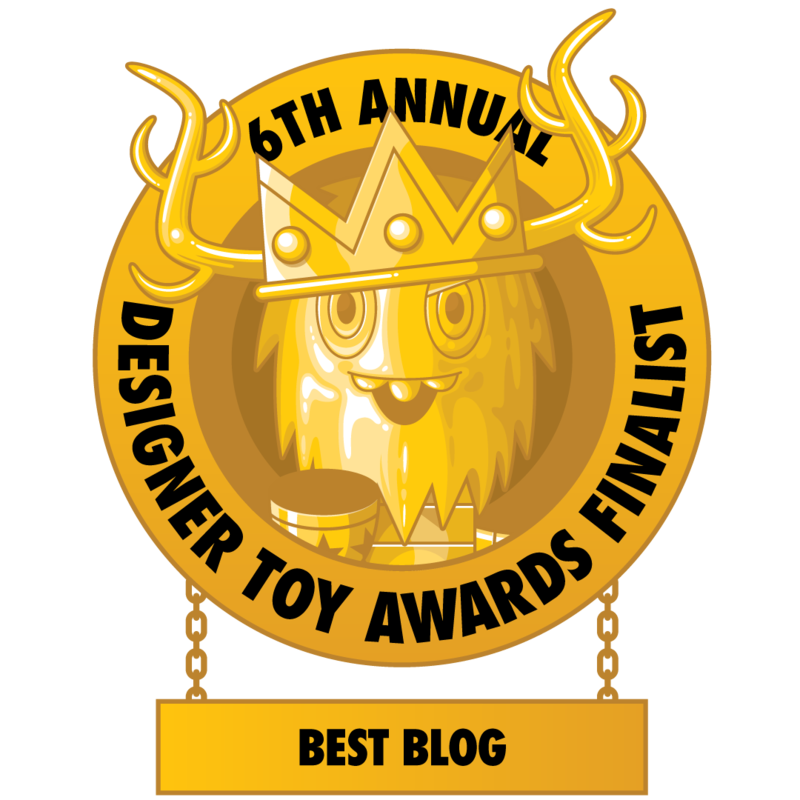 Of course this is the work of 3A, because no one else is making toys that come anywhere close to this. 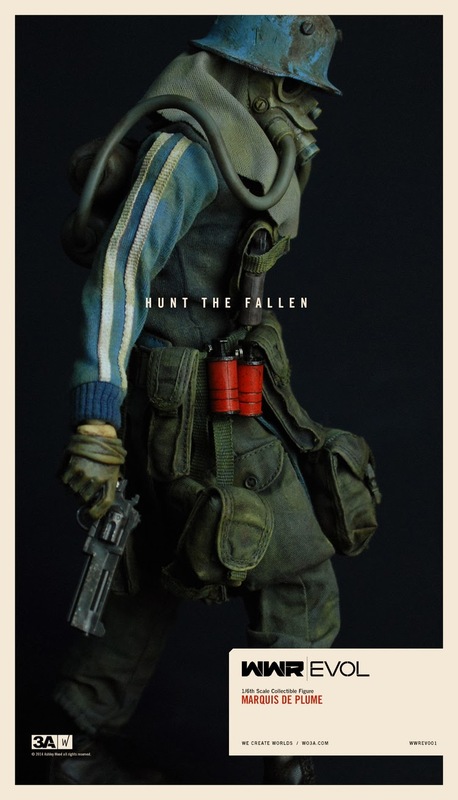 For those of you that are fans and collectors of their work you already know what to expect when it comes to their figures, but for any of you new to this line, you may have just found your latest obsession. One of my favorite things about what they make is the weathering that they achieve. The clothes are appropriately worn out and soiled, while the metal elements feature the patina of age and use. This WWR Evol Marquis De Plume looks like a man with a mission and a history that would make you cringe if you heard him tell it. Buy one for yourself and stare at it endlessly when they go on sale Friday, February 28th at 9:00am Hong Kong time. There are a couple of different options to pick from starting at $130. 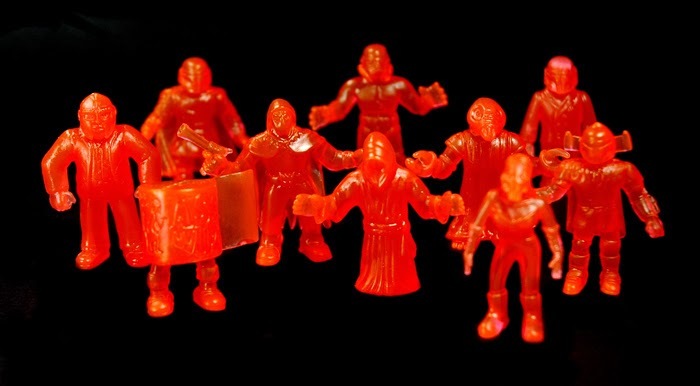 Hurry and sell of the rest of the crap you own so you can start collecting these guys. You wanna see something cute? Oh, I guess I should have asked you that before I posted the picture. Well, no you've already seen it and the surprise is ruined. Also, if someone ever asks you if you want to see something cute on the internet you should be suspicious and not click on any links because most likely you will see something disgusting that you will never be able to scrub clean from your brain. There's some really twisted stuff out there and I know this cause I've seen most of it. Many moons ago I used to work at a radio station and we had unfiltered access to the internet. Most days were pretty boring so we would all try to find the grossest thing we could and put it as the background on all of the sales people's computers. If you haven't been an HR nightmare at one of your jobs, you just don't understand how to be employed. Back to actual cuteness. It's Heathrow from Frank Kozik!!!! This time he's made out of pure Japanese sofubi and hand painted for your pleasure. 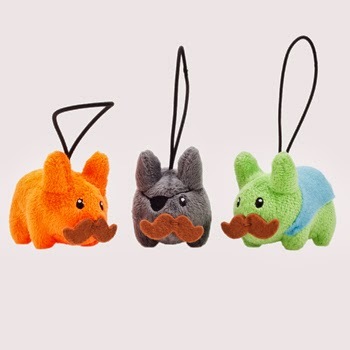 There are 50 of these little dudes just waiting to be mailed to you after they go on sale tomorrow (February 26th) at 2pm Pacific time for the bargain price of $40. Though I don't have $40 right now cause these cats are eating me out of house and home. 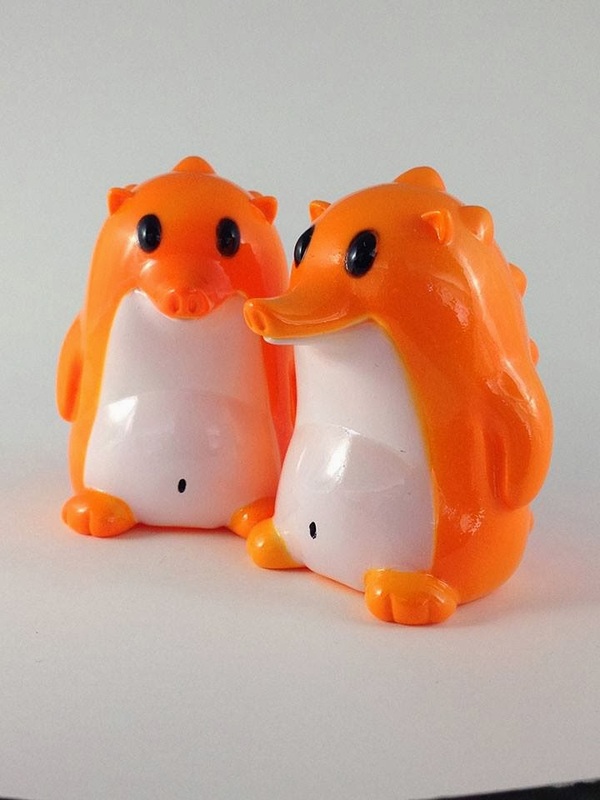 Kozik needs a layaway plan. Sure you've seen toys that glow in the dark. That's pretty much old hat. But how many of your toys could you freak out on with the lights out and crazy techno music blasting through your stereo? Do people even have stereos still, or does everyone just use a docking station for their iPod? Man, I used to have a killer stereo system in a big glass and pressboard cabinet with two 4 foot tall speakers on either side. That was how you let everyone know you were a boss. Now all that stuff can literally fit in a lunchbox, but nothing is like having an entire section of a room devoted to sound equipment. You kids don't know what you're missing. And get off my lawn!!!!! This version of Ferg and Grody Shogun's Young Gohst features a mini strobe light that will keep the party going/induce seizures. 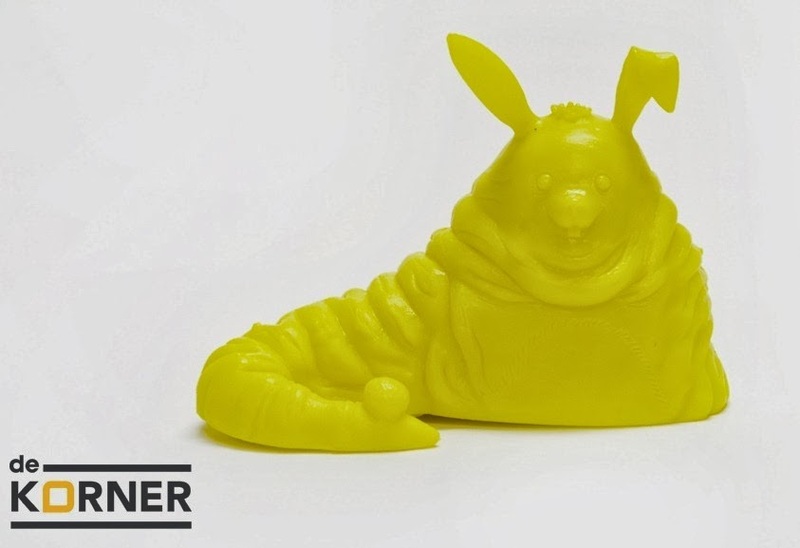 He goes on sale today (February 24th) at noon Central time from http://www.playge.net/store. 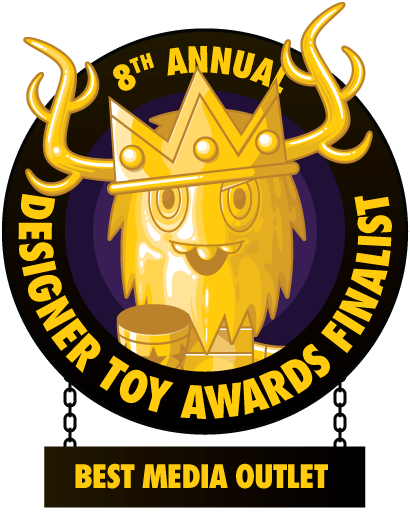 The Loyal Subjects had a swanky booth at this year's Toy Fair and it was filled with all of the blind box series they have coming out this year. Who would have ever thought to have Mr. Potato Head mini figures? It sounds absurd, but when you see one in person the first thing you want to do is pick it up and move all the pieces around. They are also making a Power Rangers blind box set that is articulated and features removable helmets, but I didn't get to see those as they didn't make it in shipping until the day after I was there. And of course they're continuing their ever popular GI Joe and Transformers lines with new blind boxes and blister carded figures. The series look awesome and are actually a little bigger than the previous ones, so you're getting more toy for the money. I know you want this Ultra Magnus figure. I can just tell. And you're in luck because he is up for sale right now at https://www.theloyalsubjects.com/. I'll be the first to admit: I don't really know a lot about 3A. What I do know is that I love to look at their work and am on the fast track to schooling myself about them. Their booth at this year's Toy Fair was by far the most stunning, as it felt like wandering through a museum exhibit more than cases full of toys that you could actually own. There stuff is beautiful and a bit haunting. I was really trying to reign in the focus of my collecting, but seeing these in person makes me want buy everything they make. 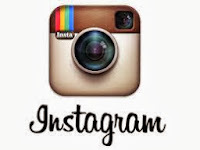 Browse these pictures while I go and apply for more credit cards. I love their take on these classic Marvel characters. How cool would it be to have a series of comics made with this style? 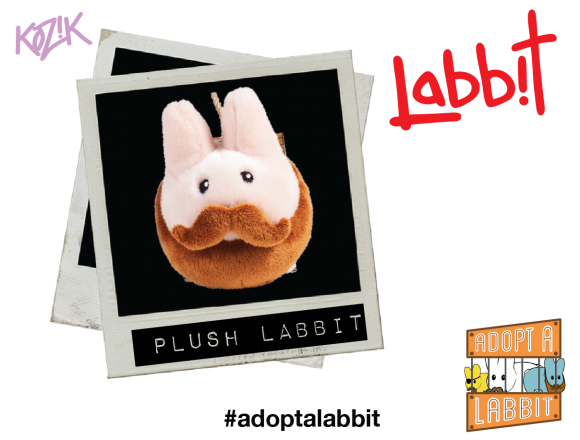 These Labbits are supposed to be hipsters, but that term makes me think angry thoughts. All I can picture is some dude sitting outside of a Starbucks, writing his post-ironic novel about a beekeeper who raises hives on a Brooklyn rooftop. He sits at his little table, pecking away on a twenty pound typewriter that he lugged 10 blocks just to make his writing experience more "authentic." Before he left the house he spent three days breaking open BIC pens and soaking the ancient ribbon in their ink, because you know, office supply stores are too mainstream to carry antique refills. When he's not working on his tome he can be found pretending to be an outdoorsman by taking photos of himself in the woods, staring deeply at the laces of his shoes as a statement of consumerism and how Ralph Waldo Emerson has inspired his every move since, I dunno, birth. If you're lucky he will pose in a tree with his favorite Smiths record on vinyl. Hipsters anger me. But it's just the dudes really, cause hipster girls are always pretty cute. You keep doing what you're doing ladies. 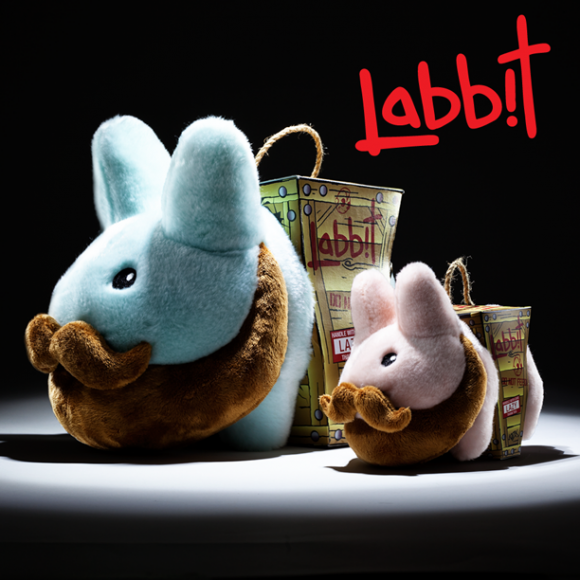 I prefer to think of these Labbits from Frank Kozik and Kidrobot as the type of bearded bros who would go to a Mastodon show and make their own taxidermy with things they found along the road after watching an instructional video online. These are the bros that as kids were building ramps to jump anything they could find in their garage with wheels, not keeping dream journals and wearing tight pants that make them hobble like the early onset of polio. These suckers come in a plethora of sizes, from huge enough to double as a new pillow to small enough to carry around in your shirt pocket. Pick the one you want or go for the blind box series and add some surprise to your life that doesn't involve a pregnancy test. You can get them wherever you like to buy your toys or you can get some signed this afternoon by Frank himself by visiting www.frankkozik.net. Let's hold a vote. Let's all vote that no toy line will ever be named any version of M.U.S.C.L.E ever again. Not that I don't appreciate the tribute to the classic line of little wrestling dudes, but it's a pain in the rear to type that. I try not to involve myself with the caps lock key because it only leads to trouble, yet that is the only sensible way to not be driven mad while forming such a word. Now, on to business. Other than the pain it is to type their brand name (read it in the title if you want to know it, you can't make me revisit my pain) I have a good amount of love for these figures. How can you not love a roll of toilet paper with legs? And they come in a plastic trash can. This yellow edition is limited to 80 such cans and an exclusive to DeKorner. Get em now for $19.95. Is that an angry juice box? You bet it is! 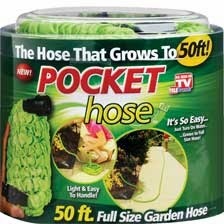 And as a bonus they'll throw in a Pocket Hose for FREE! Visit http://www.dekornerstore.com/ where operators are standing by to take your order. I don't know how Funko manages to release so many products. Not only do they put out a ton of toys, but they have the license to everything ever created. There is nary a character you could imagine from any form of entertainment that they have not or will not in the future produce a figure of. Which I'm fine with, because if there's one thing I love it's buying more toys. Some would call it an addiction. I would call it more fun than paying for stupid things like electricity or vegetables. And they're branching out into different styles of toys to create, like these Japanese sofubi Batman and Ninja Turtles. These were drawing a lot of attention, as you can tell by the gentleman below, taking a picture at the same moment as I was. Seriously, who wears a hat like that that isn't toiling away in a London basement on clandestine science experiments? The answer we were looking for is "virgins." These were by far one of the biggest hits of the entire show for me. Continuing their relationship with Super7, Funko previewed all of the figures in their soon-to-be-insanely-popular ReAction figure line. These figures are designed like the old school Kenner Star Wars dudes and feature every character you wish you had in toy form as a kid. It would take me a day to list all the ones they're making, but at only $9.99 each, you can just go ahead and budget to buy them all. Of course they're also making a bazillion new Pop! Vinyl figures. What you see pictured are just a handful of the prototypes they had on display. If I posted every photo I took you would scroll until you had a seizure, so consider it a gesture of kindness on my part that I gave you but a sampling. 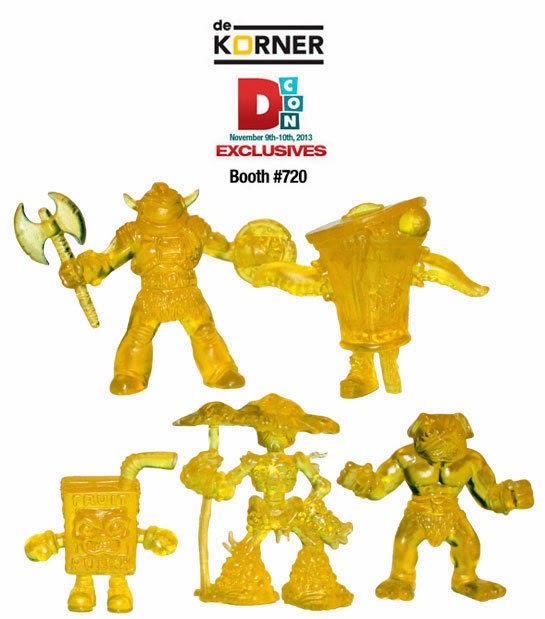 If you'd like to see more of what I saw at Toy Fair 2014, check out www.facebook.com/thetoyviking.